hi all, I am looking to get a smallest possible amp that would drive these for a stereo setup. what is he min wattage I need to get good sound out of these babies? Some professionals built the Titanic. But Noah took a little advice. The M60s are reasonably sensitive and I know that many people on the forums have used even quite low powered tube amps to drive Axiom speakers. However, to properly answer your question we'd need to know how loud you like to listen and how big is your room. Furthermore, it is worth pointing out that if you're trying to get the best out of your very good speakers, using a higher quality amplifier would be a wise investment. Two IC 741s and a handful of resistors and capacitors and you're good to go! Frosti, of course the answer depends on what you'd consider "good sound". One watt is enough to drive the M60s to a comfortably loud listening level in the low 80s of decibels at the typical listening distance. If you want to be able to reproduce brief peaks on highly dynamic material, such as many classical recordings, you would want to go 20dB higher than that one watt level, which would be 100 watts. After did a bit more looking. I was hoping something the size of the teac 101 would be awesome. The room will be my living room and it is about 6-700 sq ft. While I'm not hoping to have it "fill" the room. I'm hoping to have some good quality sound. 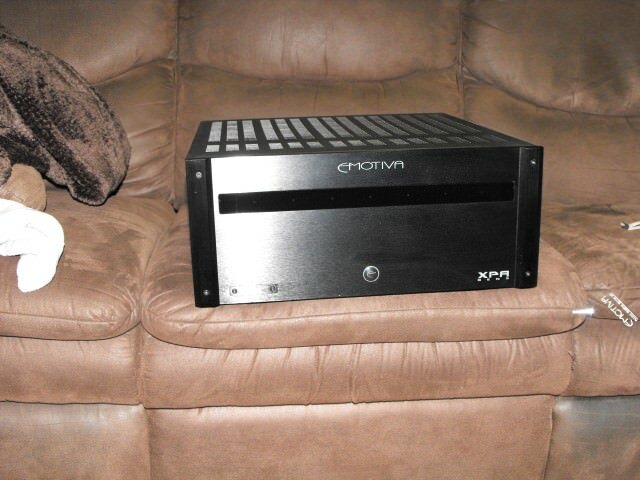 If it is pair with this amp, how loud do u think I can expect? That is certainly not the size of room that I would expect a bookshelf to excel in. That's really floorstander space imho. "If it is pair with this amp, how loud do u think I can expect?" If you listen to compressed music, you can crank the TEAC and from 6 feet away you'll go deaf. If you listen to well-engineered music, you could get away with listening at 0.5W nominal and that gives you about 16dB of headroom. That will result in 85dB, nominal, from 6 feet away. I gave my friend a pair of Michaura M665s which are like M60s (2 x 6.5" and a 5.25" Axiom aluminum drivers and the 0.75" Titanium tweeter from the old M1s) and a monoprice tube hybrid 20 wpc into r ohms probably 8 wpc at 8 ohms. Sounds fantastic. Big, rich and detailed. I am looking at that Monoprice amp on-line while listening to "It's a Tragedy" by Norah Jones on Spotify = Audio serendipity. Be a sport! Grab one and report back with your impressions. I'd call them and ask for the 20% off deal.